Established in 1977, Turnford Pipelines Limited are a Local Authority Approved Contractor providing drainage inspection, repair and sewer cleansing services to Local Authorities, Water Utilities and Public Companies. Turnford Pipelines provide a high quality and thorough cost effective Cleansing and Sewer Investigation Service for works primarily within the areas of North London , Hertfordshire, Bedfordshire, Buckinghamshire and Essex, however we also work throughout Greater London and the Home Counties. With our array of machinery we are able to deal with jobs ranging from simple sink clearing to main line blockages and pipework CCTV sewer surveys. 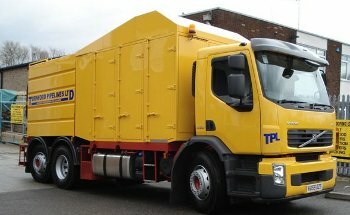 In addition to drain clearing and waste removal, Turnford Pipelines can offer a solid waste cutter service for the removal of roots and concrete wash. Our Colour CCTV Camera Surveys utilise crawler or pushrod systems as appropriate, and upon completion of your survey we provide a DVD recording and clear written linear reports. Turnford Pipelines also has the capability of carrying out minor remedial works to drainage systems incorporating re-laying and re-lining of pipes. Contact us today to solve your drainage problems.